​According to a research, Approx 60% of Peoples in Singapore are suffering from Major depression (also called clinical depression) these symptoms cause the loss of interest in any type of physical or mental activity, Sadness etc. The main cause of this problem is lack of sleep, loss of energy level, laziness, work more than capability etc. According to Doctors, to get rid of this problem a person must take some day rest and start doing regularly team building activities. Pulau is like a heaven for the cyclist who wants the real adventure. This is the outdoor high physical activity game which requires a lot of stamina when you do cycling there. This is most famous for mountain biking trail in Singapore. So, gather your team and enjoy the cycling at Pulau Ubin. This team building activity can be played by the participant of all ages. For better communication and coordination you can play this team building game with your team member. This laser tag activities game is safe, harmless and helps in releasing stress. The main focus of this team building activities is to create bonding, Communication and most important Planning because without planning your team can't win this game. In this game, the team has to go from one checkpoint to another checkpoint and continue to next until the end. One and only Indoor team building activities which look like a party. There is a time limit in the cooking team building challenge. Benefits of the cooking challenge are it creates bonding, build Collaboration, Creativity, Leadership and Planning. It's good for both mental and physical bonding. Gather your artistic team if you are interested in painting or drawing pictures, images etc. This team building game only needs creativity and low physical intensity. 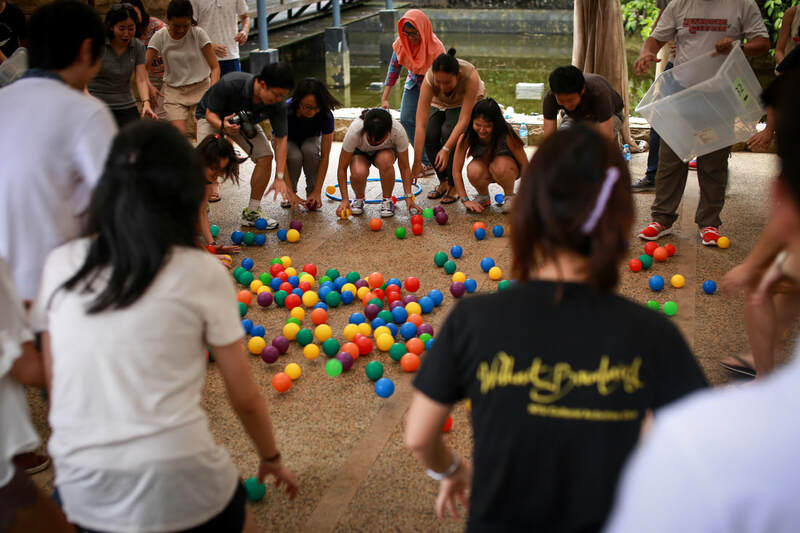 this is the vibrant and colourful team building game. This team building game requires mental ability to solve real-life problems and puzzles because in this game include numerous tasks and puzzles. For this team building activity, you need to gather 2- 3 groups and distribute games to teams. I hope these activities will help you in getting rid of your stress achieving your life goals. As per my suggestion if you are interested in these team building activities & team development then gather your friends and visit our centre. Why are Energizers & Ice Breakers essential to a Meeting or Workshop? Energisers and Ice Breakers are powerful in setting the tone of a meeting or workshop. Often, Energisers and Ice-Breakers are ignored as it consumes precious time, and sound more like excuses to have fun. That is true only when it's done incorrectly. Strategic placement of Ice Breakers and Energisers can be crucial in the success and effectiveness of the meeting and workshop, by leveraging on the interest and attention of participants. Without which, one would expect a ‘cold start’ once the agenda begins. Ice breakers are best deployed when the participants in target are not familiar with one another. As its name suggests, its primary aim is to break the cold barrier between one another, create memories, and friendships, more importantly, build bonds which are crucial for continuity. Energisers on the other hand, are aimed at increasing energy and attention of participants, and especially useful when the workshop is lengthy. Usually purposefully injected to create a mental recess, and essential to fight the post-meals drowsiness. To debunk the myth, energisers are not just another fun activity; it can be framed to build onto the agenda and to flow naturally in a workshop. Both Energisers and Ice Breakers, when done purposefully, will improve the mood of workshops and meetings, increase engagement level, and ensure information is cascaded with maximum attention to all participants. On top of that, participants are relaxed and can enjoy the session. Most of us could related to workshops, meetings, camps and programmes that drained us, and a few which we felt more positive about. As participants, we could exhibit two different spectrum of behaviours, depending on many innate and external factors. 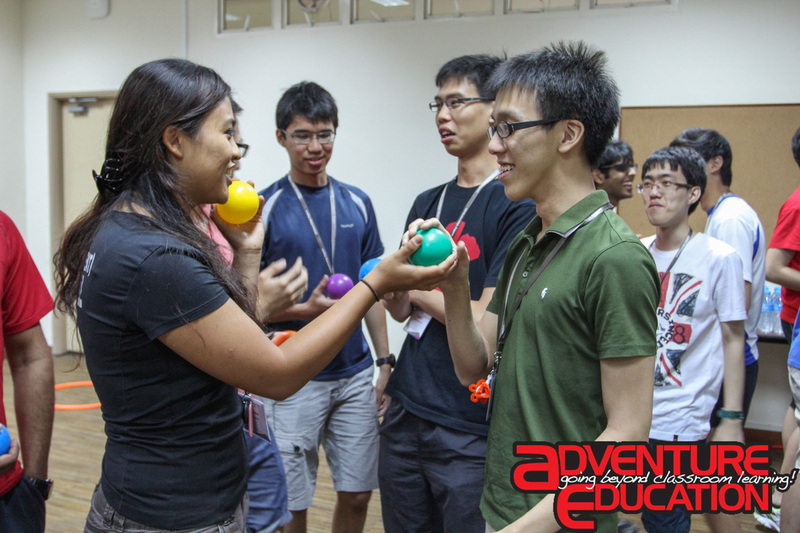 By the inclusion of Ice Breakers and Energisers, the participants generally respond better. That's a big plus for the trainer or anyone chairing a meeting. The key now is about finding the right trainer/facilitator who can select activities, which can meaningfully link the discussion agenda or training topics in a timely manner. This is definitely a niche worth exploring and developing.